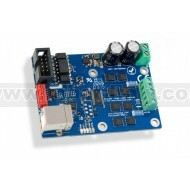 Stepper driver up to 6A/phase. works with 4,6 and 8 wire stepper motors. The PoStep60 driver incorporate advanced stepper motor controller and external N-channel MOSFETs to drive a bipolar stepper motor or two brushed DC motors. 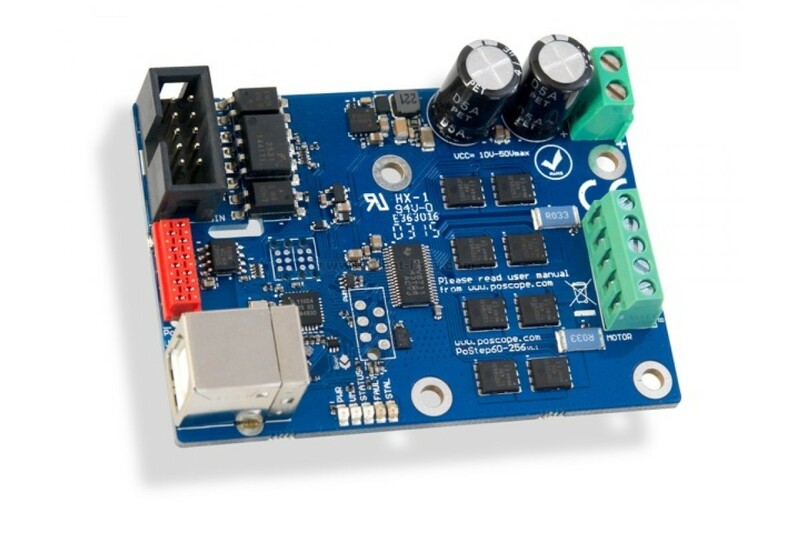 The PoStep60 driver incorporate advanced stepper motor controller and external N-channel MOSFETs to drive a bipolar stepper motor or two brushed DC motors. A micro-stepping indexer is integrated, which is capable of step modes from full step to 1/256-step. An ultra-smooth motion profile can be achieved using adaptive blanking time and various current decay modes, including an auto-mixed decay mode. A simple step/direction or PWM interface allows easy interfacing to controller circuits. An I2C serial interface can further be used to control all the driver functions including position control on board. All running parameters (output current (torque), micro stepping, step mode, decay mode...) can be set over USB and stored on board for standalone operation. Internal shutdown functions are provided for over current protection, short circuit protection, under voltage lockout and over temperature. Fault conditions are indicated via a FAULT LED, and each fault condition can be read in configuration software.